The main accessory you need for the rainy season is a killer umbrella. 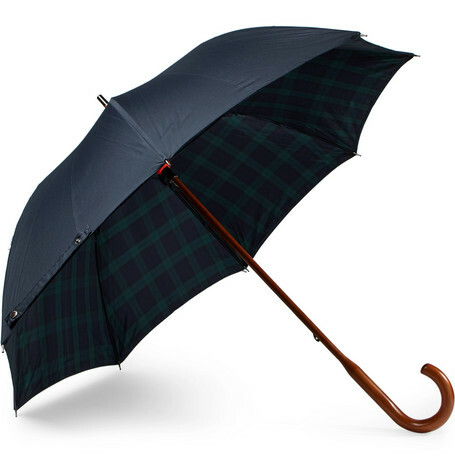 This classically-styled umbrella has a curved maple wood handle and a navy and green tartan underside that oozes class. The hooked handle allows you to hang it on you forearm when you’re not using it, and impresses everyone you walk by in the street with the subtle details on this personal rain canopy when you are.